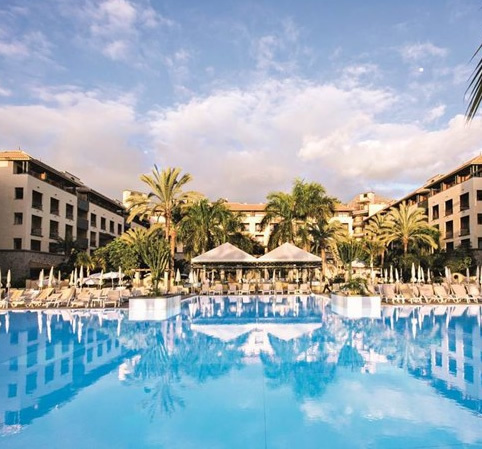 The GF Gran Costa Adeje Hotel is a 5 star luxury property located 500 metres from the Playa del Duque and Fanabe beaches in the area of Costa Adeje Tenerife. The hotel has a good position 50 meters from the resort centre, within a short stroll guests will be able to take advantage of the many shops, bars and restaurants that the resort has to offer. 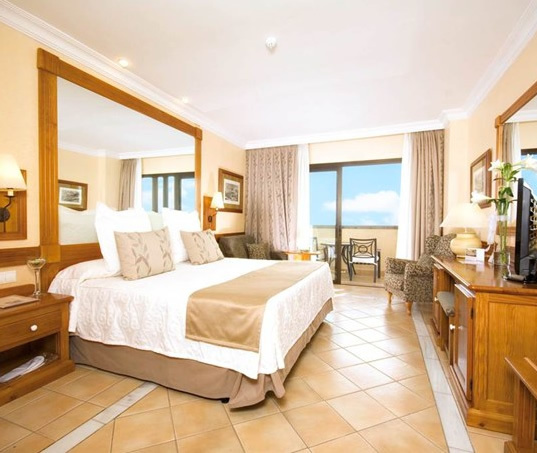 This relaxed 5 star has a reputation for good service and friendly staff, the Costa Adeje hotel has attracted a large number of repeat clients that are highly satisfied by the excellent service, facilities and location of this quality hotel. The airport is a 20 minute taxi ride from the hotel. All the bedrooms are tastefully decorated and have been designed to meet the individual needs of their guests. Facilities include air conditioning, mini bar, satellite TV, direct telephone, complete bathroom, safe box and a private balcony or terrace. Rooms also have ADSL connection. 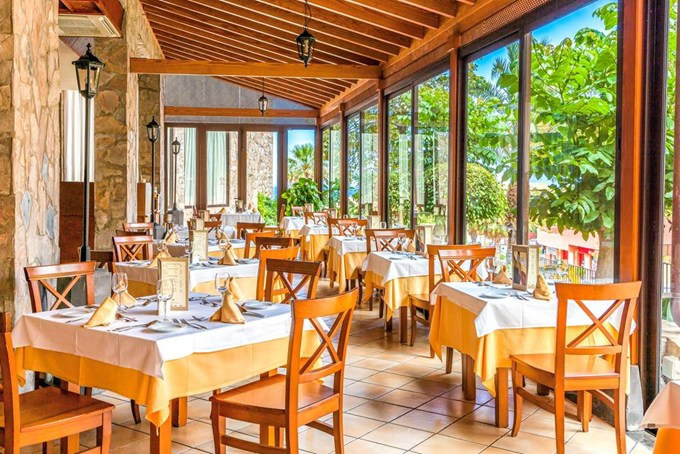 The Hotel has 4 restaurants, one of them is a la carte, guests that stay in one of the hotel's suites will automatically invited to eat in the a la carte restaurant. The hotel has 4 bars including a pool bar and a lounge bar that is the venue for the hotels evening entertainment programme. The array of facilities is impressive, the large solarium area has two adult swimming pools the bottom of one of the pools can be seen through the hall ceiling. Children will enjoy another pool that is heated during the winter. The pool area is the nucleus of the hotel by day, on the roof terrace, there is an adult pool and solarium with unsurpassed panoramic views of South Tenerife and La Gomera Island, the hotel also has two discrete areas just for nudist sunbathing. 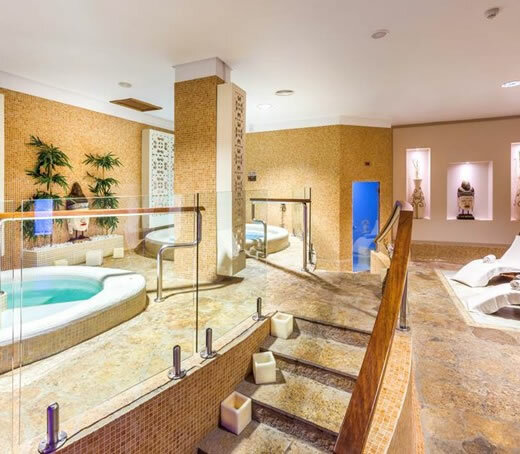 The gym and wellness centre is the place to go for a spot of pampering and relaxation there are qualified staff on hand to administer a wide range of wellness activity including, energetic Japanese massages, a comprehensive anti-stress programme, sauna circuit, Turkish baths, Jacuzzi and much more. A Tennis and multi-sport court are available and in addition to the pools guests can enjoy the tennis court, squash and paddle, minigolf, petanca (French Bowls), table tennis and pool table. 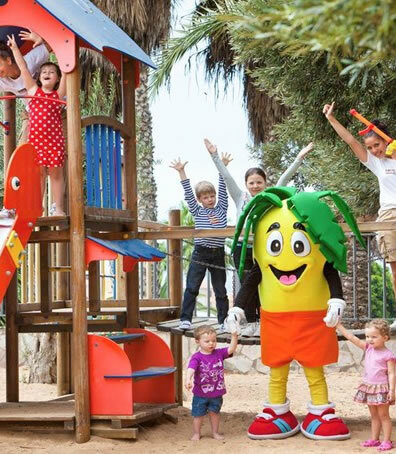 The hotel also has a day time and evening entertainment programme and mini club and mini disco for children aged from 4 to 12 years of age. There are several shops, meeting rooms, hairdresser, internet cafe with 6 computers and webcam, free Wi-Fi connection is also available..